Not the stage I was previously working on, however, I saw the request and decided I could make it happen. All hazards removed, except for when sections of the main stage are broken by the Pokémon. 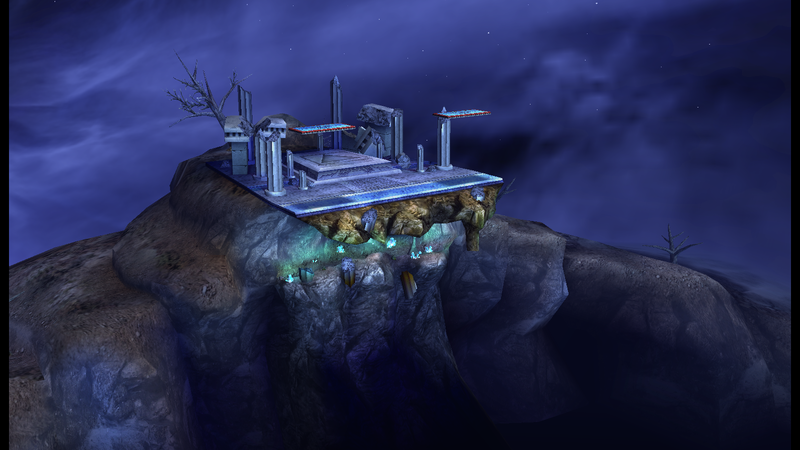 If I am able to make a visual indicator for the stage being destroyed, and delay the collision removal, then I will be making a more competitive style cave-less version of this stage. A visual upgrade to my Gen II Spear Pillar. The cave underneath has been remodeled and pushed backwards. The platforms move according to their original rel patterns. The Pokémon models and animations have been updated to their Sun & Moon versions. Some textures have been changed to better fit the Gen II theme. Celebi can now appear randomly in the background of the stage. The save state load occurs at the earliest possible opportunity. Basically it waits for the information on the window title to update to show it has actually loaded the game, then it sends the command to load the save state. Saving your state stores exactly how your game was at that moment. If you are testing changes to stages, you save on the stage select screen and then pick the stage after loading. If you are testing character changes, either save in the main menu or (as you mentioned) save in the stage select screen and go backwards. Glad you like the tool and good luck modding. Previously, I said that if I started working on stages again, then I would keep updating this thread with progress pictures. However, despite this, I've only been sharing them on Discord until now. 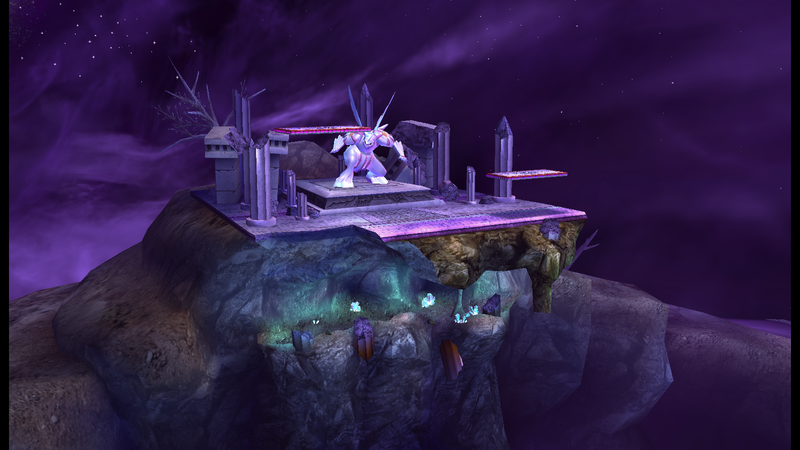 No screenshots, but this stage is almost ready to be released. Will include multiple versions, so you can choose which stage gimmicks to keep. Updated the description so it's a bit clearer. It only copies files if they have changed in someway (if the Timestamp OR the file size differs) or if they are new files (exists in your mods folder, but not in the sd.raw). The purge option makes it so the sync is an outright mirror and deletes files from the sd.raw that are no longer in your mods folder. As for the savestates on the emulator, does it say not found or does it say they were made with a different version of Dolphin? I don't see how this could be related to VSDSync in any way, however, I could be wrong. I believe I ran into this issue before as well, but it was before I made VSDSync. That's the easiest way to remove everything. Changelog in the first post. Major changes involve a better GUI, bug fixes, and the switch to using ImDisk. Glad you guys like, hope it comes in handy! Previously it was ignoring any old versions of files. A collection of utilities and scripts to automate updating your virtual SD card. Not exactly an update in terms of stages, but mostly made this to motivate me to get back into modding. Hopefully my plan will work and I'll have something more exciting to add here soon! You choose a folder and your sd.raw file, then run the program to sync between them. Only copies files that have been modified or newly added. It can also optionally purge old files from the SD card that no longer exist in your mods folder. I'd appreciate any error reports, I tried my best to make it a standalone package. Hope you like it! Apologies for the massive delay in releasing this stage. There were so many more things I wanted to add to this, but unfortunately I don't have much time at the moment. I'm most likely going to add new versions (and transformation variants) to this in the future, but I thought I may as well release what I've got so far. Hope you enjoy it! 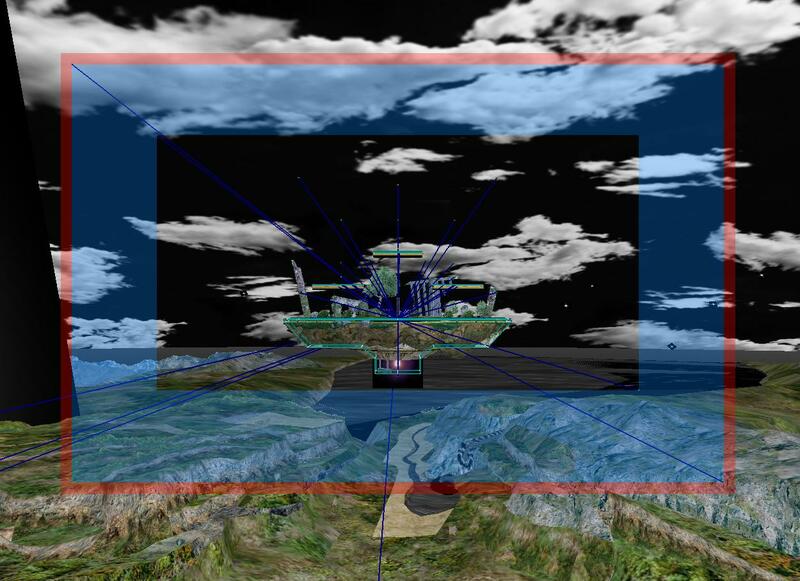 :edit: As a youtube comment points out, the shading on the buildings resets when the a new platform arrangement appears. Fix that and it will probably be perfect. :edit: I'll just remove the requirements list to avoid future confusion. I assume anyone who is modding brawl has WinImage right? Page created in 0.471 seconds with 87 queries.